Do you do the wristwatch walk, especially while wearing an expensive watch? The wristwatch walk occurs when you momentarily position your watch-wearing arm in front of your chest or belly as you walk through a narrow doorway, past protruding furniture, or near a wall. 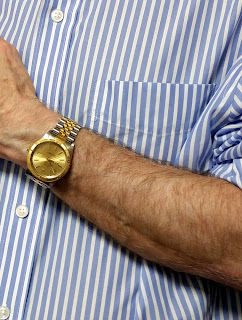 Sometimes putting your watch hand in front of your body is accompanied by cupping your hand over your watch for needed extra protection -- for example when you're on a crowded train. The wristwatch walk is done in the vicinity of excitable, jumping dogs, as well. 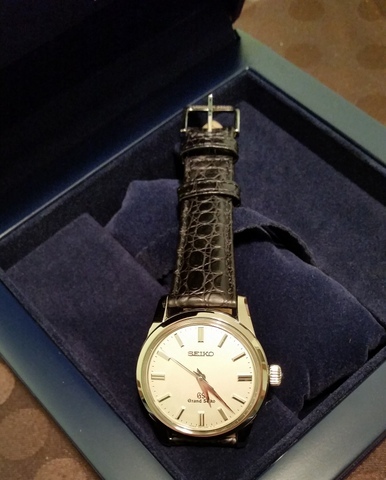 The wristwatch walk can also be performed by moving your watch hand behind your back as you pass by a hard object that might leap out and strike your watch, such as a desk or trees in a forest. The wristwatch walk is a fluid, almost unconscious maneuver. 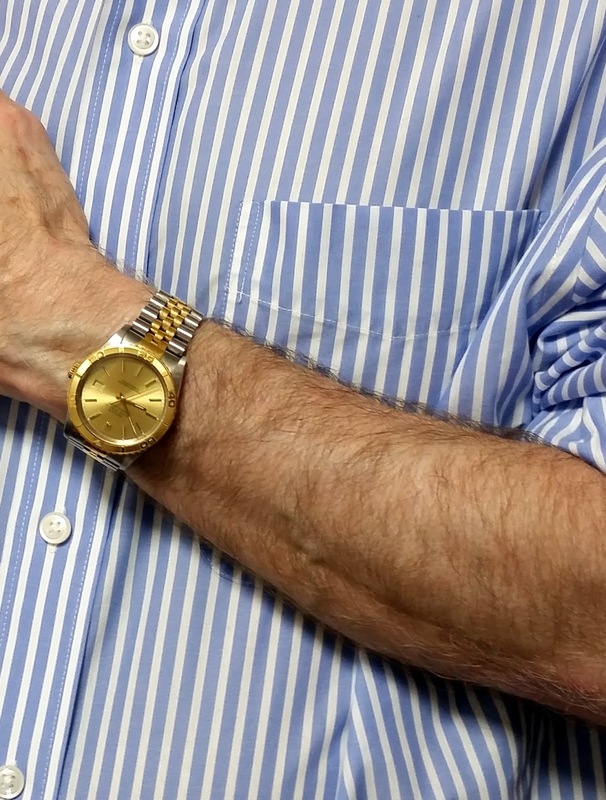 I do the wristwatch walk and other watch collectors whom I've spoken with do it, too. You can think of the wristwatch walk as both a protective action and secret handshake among wristwatch collectors: When you see somebody do the wristwatch walk, you know that they have watches in their soul. Yeah! The wristwatch walk sounds very familiar with me. I have seen many guys doing that on the crowded train. Now you solved the mystery. They love their watches. "When you see somebody do the wristwatch walk, you know that they have watches in their soul." Love it ! !